New Year’s Eve, a time to reflect on the year behind and celebrate what’s to come. But planning something to suit your taste, budget and style can be tough. Well, don’t you worry, I’ve made a list to help you find the perfect way to ring in the new year. You want to begin the tradition of celebrating a year of milestones and starting a new year with the kids but you probably don’t want them to be up late enough to see the ball drop. Avoid late bedtimes but don’t skip the magic with a pick from these family-friendly events! 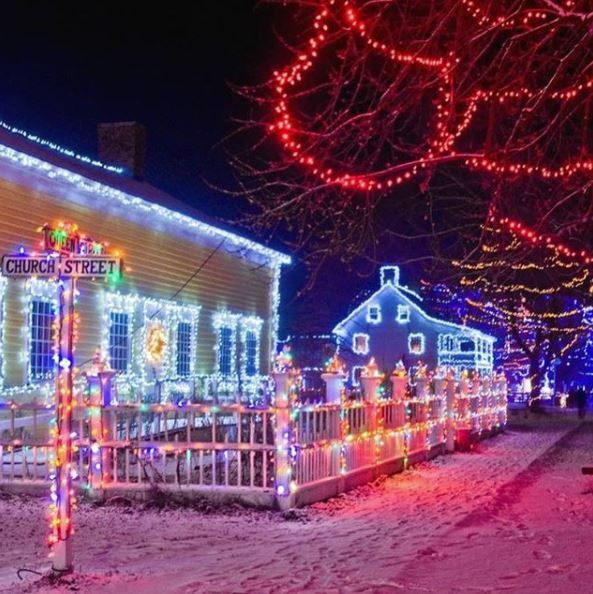 Upper Canada Village: This venue is for all ages but especially great for the little ones to take in all of the sparkling lights that adorn the heritage buildings and trees. Learn more at uppercanadavillage.com. Playtrium “Noon Years Eve”: Beat the late bedtime and get the party started as early as 10:00 am at the Playtrium! Games, prizes, face painting and lots of entertainment. Ball drops at noon. Learn more. K-town Countdown: Enjoy live music while skating on the same ice as our beloved Kingston Frontenacs at the K-Rock Centre! Bundle up if you want a wagon ride and to enjoy fireworks at 9 pm. Time: 5:00 pm – 9:00 pm. Learn more. Harpers Burger Bar: Kingston’s favourite burger spot is serving up something special for their Kid’s NYE Party. From 5:00 pm – 7:15 pm you and the kids can enjoy a delicious burger and a kid-friendly movie will be played. Learn more. Do you like to dress your best while sipping bubbly or cutting into a juicy prime rib? 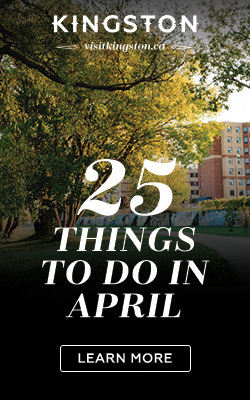 These events will tickle your fancy! Delta + Aquaterra: Do it up nice with dinner at one of Kingston’s finest restaurants, Aquaterra, and step up your NYE game by staying in a room upstairs. 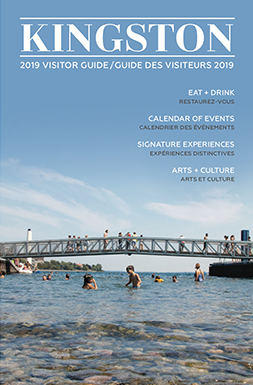 Book your room and restaurant reservations soon by calling 613-549-8100 or 888-548-6726, or online at www.marriott.com/ygkdk. 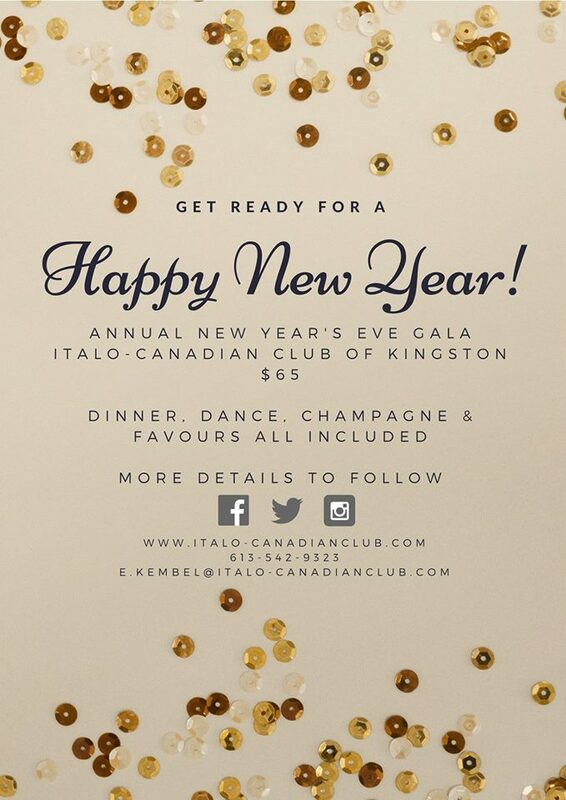 Italo Club New Year’s Eve Gala: For $65 a ticket you can enjoy a night of dinner, dancing topped off with a champagne toast and party favours! Learn more. 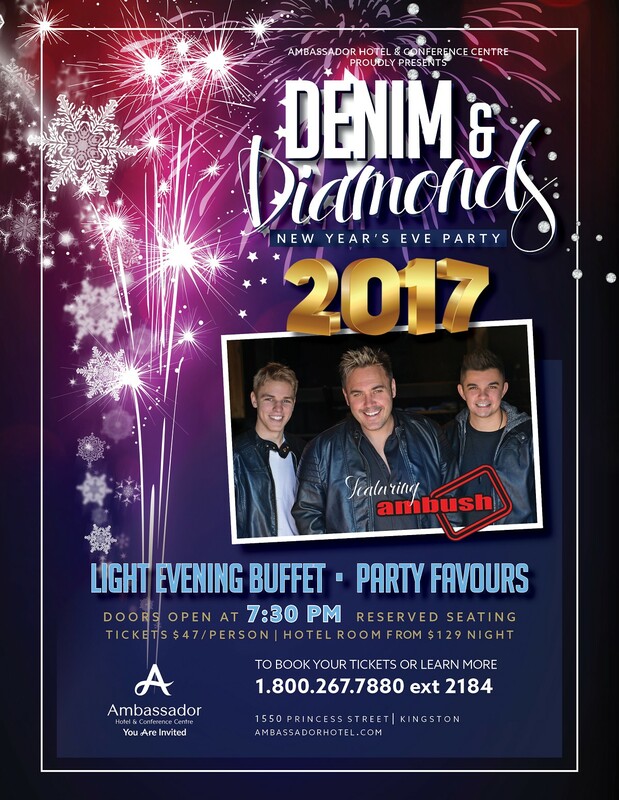 Denim and Diamonds: Enjoy a light evening buffet, party favours, and live music by Ambush at this country themed New Year’s Eve celebration at the Ambassador. Doors open at 7:30 pm and tickets are $47/person and rooms start at $129. Learn more. NYE can get pricey very quickly. If you want to have fun but don’t want to break the bank, there is something on this list for you! 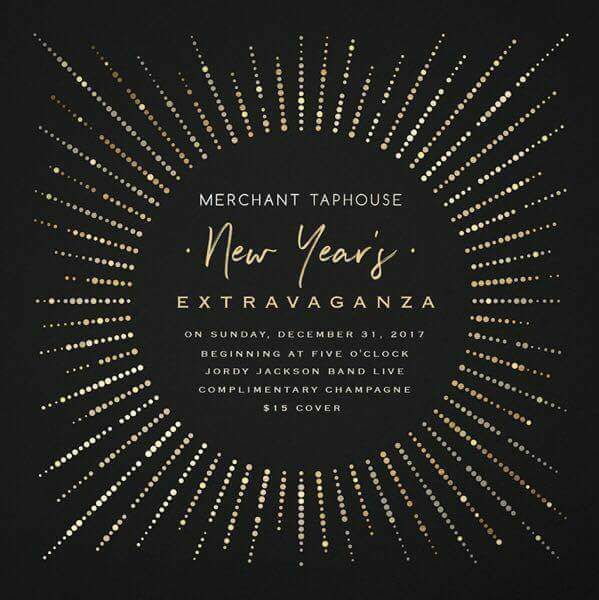 The Merchant: Local go-to hangout, The Merchant, is throwing a “New Year’s Extravaganza!” A $15 cover includes the Jordy Jackson band live and complimentary champagne. Learn more. Texas Roadhouse: This is the NYE deal of the year! Dinner, champagne toast, and live music by Knuckel Hed for only $20! 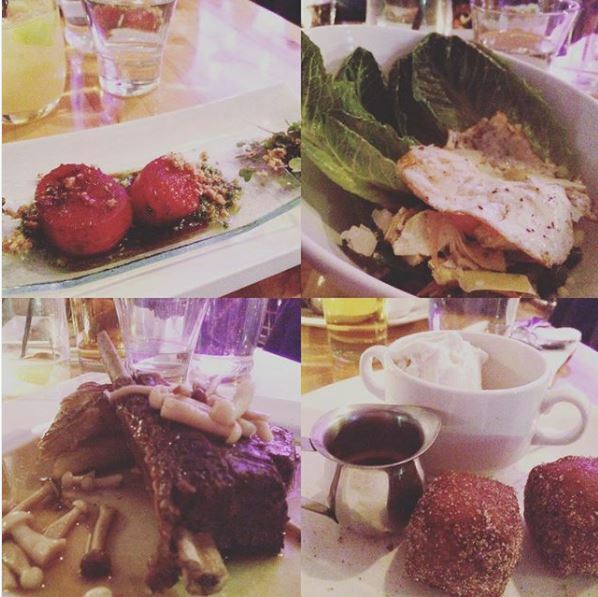 Dinner includes options like rotisserie chicken and slow smoked brisket served with sides. 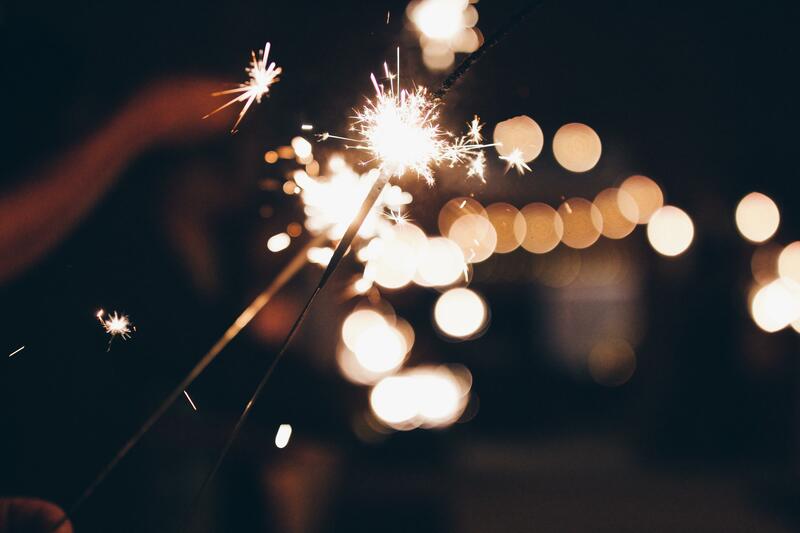 Dance the night away and ring in the new year knowing you didn’t break your budget. Learn more. Raxx Billiards Bar and Grill: Listen to country and southern rock band Rudy & Saddle Up live at Kingston’s biggest pool hall from 10:00 pm – 2:00 am. Learn more. Absolute Comedy: Have the last laugh of 2017 at a stand-up comedy show! Co-headliners Nick Reynoldson and Joey Elias with MC Dave Tsonos starting at 10:00 pm. Tickets are $30 each. Learn more. I am a strong believer that food is the best way to celebrate just about anything but especially the start of a brand new year. If you agree, the restaurant game in Kingston is incomparable. You can’t go wrong with any of the restaurants in town but keep an eye on these places for New Year’s Eve ready menus: Chien Noir, Chez Piggy, Grizzly Grill, Atomica, Tango Nuevo, Olivea, Casa, Dianne’s Fish Shack and Smokehouse. If you’re drinking, please do not drive. Operation Red Nose will be available and is a free service.